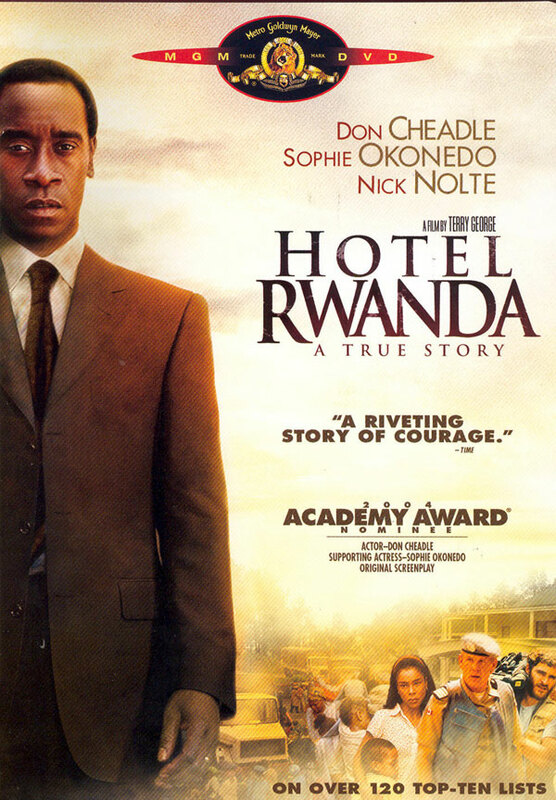 There are scenes throughout the movie where the characters will mention the events of what is going on because of the genocide, without showing the audience. People are murdered in their homes and on the streets. The Rwandan government does not take into consideration the Tutsi people’s right to a public trial as outlined in the UN Deceleration of Human Rights or about being decent. There is one scene in the movie, where Paul is driving to get supplies for the refugees, he complains about the road being more bumpy than usual. It is revealed that the “bumps” are actually the carcass of slaughtered Tutsi men, women, and children who were left where they fell like trash. The scene evokes a strong feeling of fear, because in that you realize it could happen again to any one county. By leaving out the visual images I could only imagine what it would be like, and by doing so I brought that fear unto myself, picturing it happening in my life.